MakerDAO, the company that manages the DAI stable token, currently holds about 2 million ETH in reserve in its system, thus retaining nearly 2% of the cryptocurrency supply in the market. According to Twitter data provided by Mariano Conti, developer and head of oracles at MakerDAO, the reserve amount reached 218,000,000 USD at ETH. That amount provides more than $76 million in support for Dai, according to CoinMarketCap. In that sense, it is worth mentioning that, at the time of writing of this note, the statistics shown by the tracker Etherscan indicate that MakerDAO concentrates about 1 million 928 thousand ethers in the form of PETH or Pooled Ether, a figure that is used to lock ether in the platform. Additionally, there are some 104,713,389 ETH in circulation, so the MarkerDAO reserve concentrates approximately 1.9% of all existing ether supply in the market. It should be remembered that the MakerDAO system operates through a smart Ethereum contract, called Collateralised Debt Position or CDP. Thus, users who interact with MakerDao lock up their ethers in these CDPs in the form of PETH, as a guarantee mechanism. The idea is to use the CDPs to generate more Dai. To date, Dai is quoted at about $0.99, with more than 76.44 million tokens in circulation, equivalent to 703,960 ETH. Defined as a stable coin, the cryuptocurrency emerges as a way to counteract the volatility of ETH, so its parity is intended to remain close to 1:1 with the U.S. dollar. In this way, Dai offers itself as a refuge from the current fall in the prices of crypto currencies, in a market that remained low throughout 2018. This trend, which worsened from last November, made the ETH go from being quoted at more than 1000 USD at the beginning of 2018, to a price that ranged between 100 and 200 dollars in November, reaching even less than 100 USD in December 2018. ETH currently trades at $107.5. Under these circumstances, the Dai token allows users to lock an ether amount through the CDP contract. In case of wanting to withdraw their ethers from the CDP, the person must pay the equivalent amount of Dai at the time of withdrawal. In relation to DAI data and its relationship with ETH, the startup team highlights the increase in activity within the MakerDAO network, due to the significant fall in the price of cryptocurrency. They note that the activity grows in the moments of greater reduction of the price of ETH, mainly in the period from November 13 to 19, 2018, when almost 1% of the total circulating supply of ETH was locked in the smart contracts of MakerDAO. 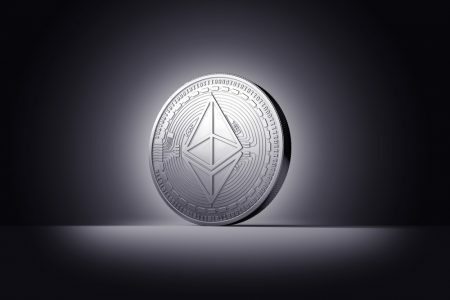 This trend has increased at the present time, taking into account that the locked amount reaches almost 2%, thereby decreasing ether’s supply in the market. The cryptocurrency, classified within the stable crypto coins, which are collateralized with other crypto currencies, was launched in December 2017 and is backed by Ether’s digital assets of each user. It is issued as an ERC20 token on the Ethereum blockchain and is traded at several exchanges. Another token of the same type, but backed in bitcoins, was enabled on the Ethereum main network from January 29 for commercial exchange. Called WBTC or Wrapped Bitcoin, the crypto is the product of an initiative led by BitGo and the decentralized exchanges houses Kyber Network and Republic Protocol. Lightning Network’s stunning growth has been fueled by Plug & Play Nodes. Here is an overview of top devices.